A special envoy of the French president joined the talks between Poroshenko and Merkel. 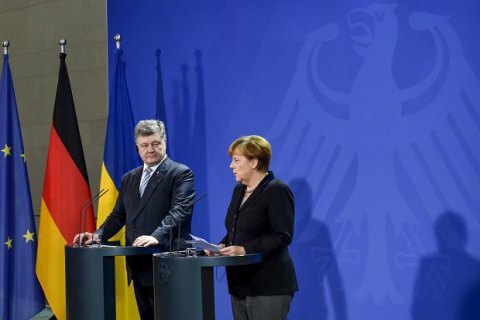 The next meeting in the Normandy format at the level of foreign ministers will be held in Paris the following week, as agreed by Ukrainian President Petro Poroshenko and German Chancellor Angela Merkel today, Poroshenko's press service has said. The negotiations were also joined by a special envoy of the French president, Jacques Audibert. The parties coordinated positions on the course of the Minsk agreements’ fulfillment. In addition, Petro Poroshenko and Angela Merkel coordinated actions on establishing the visa-free regime for Ukrainians. The chancellor agreed with the necessity of immediate adoption of the rest of the visa-free laws by the Ukrainian parliament. Last time the Normandy Four foreign ministers met in Berlin on 6 November 2015.